The past week was stellar for winners and exactas, not just in raw number but in the prices. Plus, we were one short of nailing the Wednesday, March 19 TwinSpires bonus Pick 4 at Buffalo Raceway. That is where we will begin the parade of profits. The 50-cent bonus Pick 4, a weekly play offerint a 10-percent-bonus on winning the exotic, resulted in three of the four winners on March 19. In the first leg we singled Kisses N Kicks ($29.80, $18.80, $5.10); in the second we singled Stonetag ($10.60, $6, $3.30); in the fourth we had two contenders finishing fourth and eighth, respectively; and in the final leg we had two, winning with Good Luck Penny ($12.20, $4.90, $2.70). The Pick-4 is offered from the fifth to the eighth races every Wednesday evening. We assist with suggestions for your ticket via Twitter -- @FrankCotolo, @TwinSpires and @BuffaloRaceway and implore you not to pass the less-than-obvious contenders in your ticket and as win, place and show possibilities. Our contenders in the feature races this week (not our features, track events) included the first round of “Levy” and Matchmaker series at Yonkers and the Clyde Hirt and Horse & Groom legs at the Meadowlands. In the Horse & Groom we gave you Banker Volo ($4.80, $2.60, $2.20) in the second leg after finishing third with Crosbys Clam Bake ($2.20) at 5-1 in the first division, won by the public choice. In the Clyde Hirt we were third with Burkentine Hanover ($3.40) at 12-1 in division one. In the second division, Nathaniel B scratched. In the quartet of Matchmaker divisions on Friday at Yonkers we only had one third, Economy Terror ($2.60), finishing fourth, sixth and seventh with mares going off at 38-1, 12-1 and 94-1, respectively. Saturday’s Levy divisions were meant to aim at reasonable upsets, considering the five miles were strewn with stars. We came close with one, Malak Uswaad ($6.10, $9.30 ok), second to the public choice at 14-1 (Exacta $18). We picked up a meager win when Sweet Lou finished second ($2.60, $2.10—no show betting) with his entry mate, launching an exacta ($5.50) with our second choice, Pan From Nantucket ($2.10). Dancin Yankee, a second choice in another leg, finished third ($2.40). Our other choices, Word Power (5-1) finished fourth and Bet On The Law (26-1) finished sixth. The Levy story of the first round was the return of Foiled Again, who won the fifth division, his debut race of 2014. We will be covering the next five rounds and the finals of both series as spring settles in to a warmer state. The horses-to-watch (H2W) list results are below, once again featuring the win, place and show and exacta successes. There were five exactas scored, with one cold and the others combined with race favorites. We endorse across-the-board and the exotic plays you can find through the H2W, which is exclusively for your TwinSpires harness bankroll. 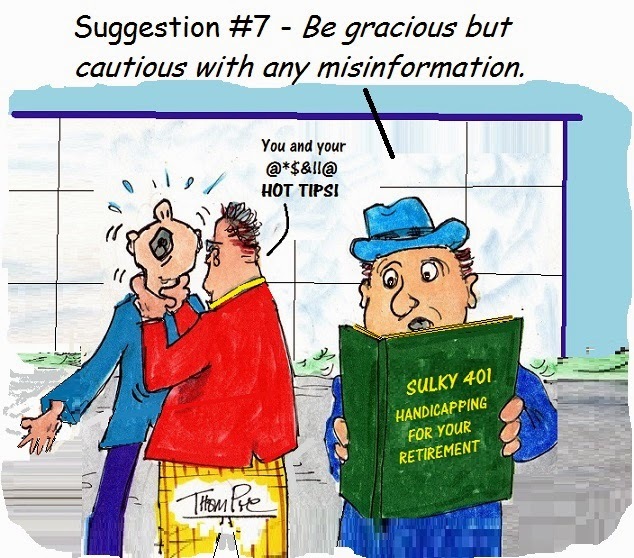 Use your own judgment and handicapping but of course, consider the H2W horses, as they prove to be in league with good paying exotics and deliver healthy place and show cash when they don’t pick up the top spot. Despite our contacts in Hollywood, we have not been able to discover specific news about the harness racing movie, “Johnny Longshot.” The Emilio Estevez project began principal shooting in 2013 and even developed a trailer while filming in Ohio. However, its category in the trades was changed to “in development” and promotional activity ceased. Estevez is the director, writer and star, with co-producer credits going to Gil Netter (“Life of Pi”) and Lisa Niendenthal (“Mona Lisa Smile”). There are reports of a script re-write holding up production. Allegedly the story, where Estevez plays harness horseman John West, was being “updated” in October of last year. Miami Valley Raceway will race on Monday, April 7, to make up for a weather-related cancellation on Sunday, March 2. With the addition of the make-up program, Miami Valley will be racing six nights a week during the final four weeks of its inaugural season. Tuesday nights will be added beginning April 15. Miami Valley offers three consecutive nights next week (Thursday, Friday and Saturday March 27-29). A meeting is slated for March 25 to determine the 2014 race dates for Hiawatha Horse Park, Dresden and Leamington raceways. The three tracks are outside the eight-track standardbred alliance group which are already assured funding for the next five years, and are along with Ottawa and Fort Erie vying for the remaining $8 million from the province to conduct racing (that includes expenses as well as purses). The group is comprised of the two WEG tracks, Mohawk and Woodbine, the two Great Canadian Gaming tracks, Flamboro and Georgian Downs, Hanover, Clinton, Grand River Raceways and Western Fair, so a lot is at stake in the Ontario skirmish for racing dates. As spring allows Minnesota to thaw from a frigid winter, the opening of Running Aces nears. Running Aces will conduct a 54-night meet in 2014 with racing beginning Wednesday, May 28 and ending Saturday, Aug. 30. Racing will be conducted every Tuesday, Wednesday, Saturday and Sunday throughout the summer with a 7 p.m. (CST) post time, except for Sundays when the action will begin an hour earlier. The 21st season of harness racing at Hoosier Park is set to begin Friday, March 28, with a new post time of 5:15 p.m. (EDT). Racing follows a Friday/Saturday schedule the opening week, a Thursday, Friday, Saturday schedule the second week and then resumes a Tuesday-through-Saturday schedule for the remainder of the meet. With an extended stakes schedule offered for the first time, the racing season goes through Nov. 15.